Crafted in stainless steel with a round design, these timeless stud earrings are delicately embellished with pave crystal. Simple and classic in design, these Fossil earrings deliver the perfect touch of sparkle for any occasion. 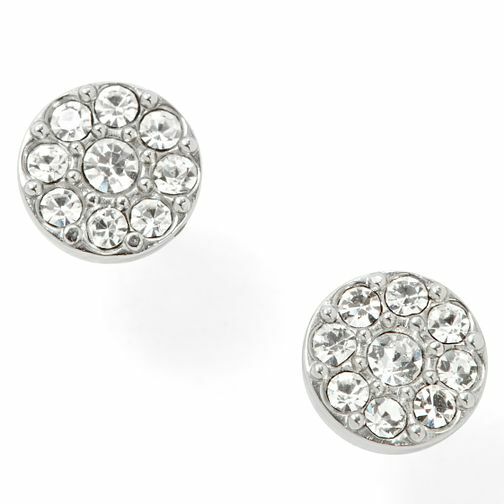 Fossil stainless steel pave crystal stud earrings is rated 4.5 out of 5 by 2. Rated 5 out of 5 by Anonymous from Perfect size, and my ears don’t react I’ve had no allergic reaction to these earrings and usually have to get gold to not have a reaction so these were perfect. They’re also a good size, not overbearing but also not tiny.